These narrow exterior double doors lead from a contemporary bathroom to an outdoor patio. The two panel design has a small lower panel, while the much larger top panel is a lite (a fixed glass window within a door). The doors are finished in a white semi-gloss enamel. The simple door frame has no additional adornments and is very minimalistic in design. Above the doors' lintel is a narrow horizontal window, and the doors are flanked on both sides by two windows that reverse the arrangement of the doors' panels: a small rectangular window on top of a longer rectangular one. The hardware for each door, as well as for the surrounding windows, is a simple, white enamel door handle that does not attract attention. The focal point of this wall is the view of the trees outside, and the window and door design is meant to enhance it. 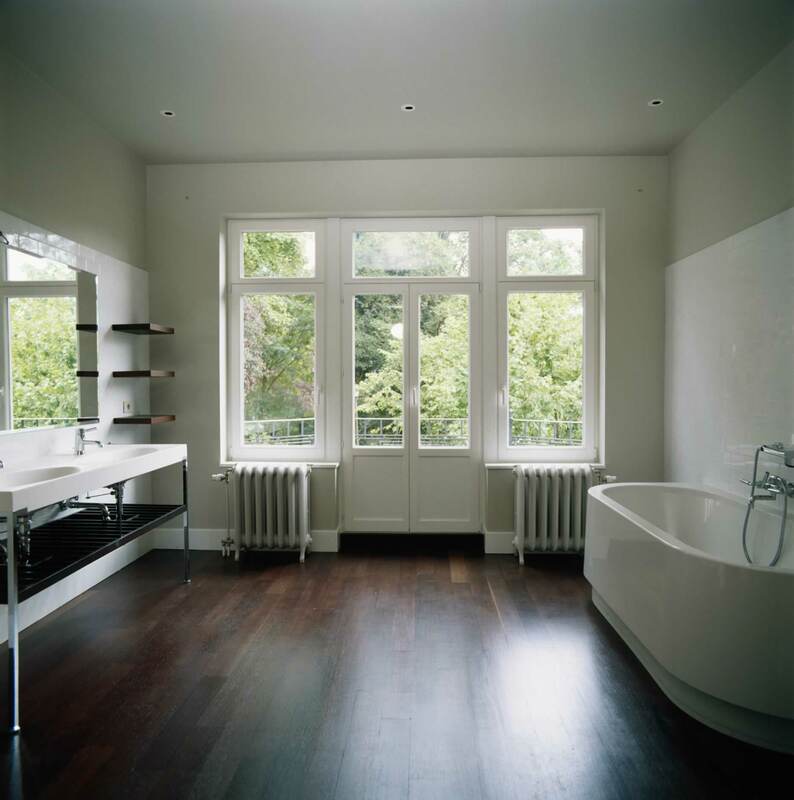 The doors and windows also allow for much natural light in the bathroom.